Presented By: French Quarter Festivals, Inc. This festival has charmed New Orleanians since it first began in 1984 , designed to remind locals how fabulous and fun the French Quarter can be. Stages are set up at every corner, food from the city’s finest restaurants fill booths in Jackson Square and beyond. It was a secret for a while, rewarding tourists who happened to be in town anyway the second weekend in April. Now this grand fete has evolved into something everyone adores, visitors and locals alike. This city's finest music and cuisine are on hand to celebrate life and love in the French Quarter. Nearly two dozen stages take over the French Quarter throughout the four-day weekend, starting early in the day and going on through the night. Festival goers will hear jazz, Latin, r&b, zydeco, New Orleans funk, swing and rock throughout the Quarter. Look for more than 100 of New Orleans' favorite musical performers to entertain—with a whole raft of other New Orleans legends and all-stars. All for free as you wander and meander and sit and nosh and sip. 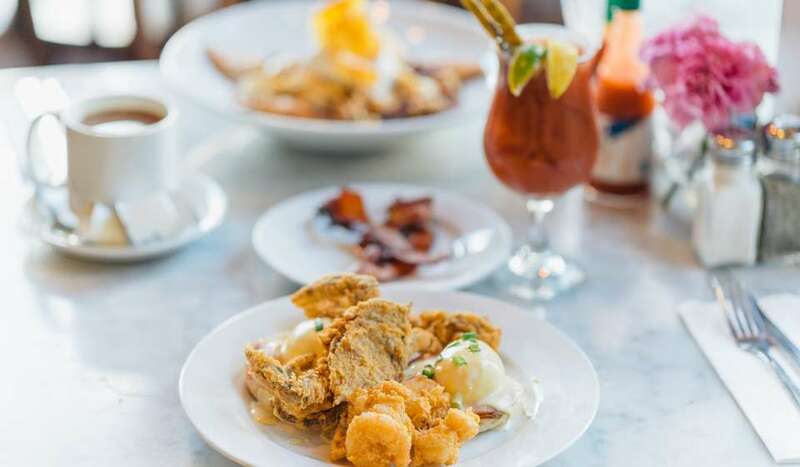 Bring your appetite to the festival's signature event, the "world's largest jazz brunch" in Woldenberg Riverfront Park, Jackson Square and nearby -- a tantalizing spread of beverages and specialty items from some of the best known restaurants in the Crescent City. 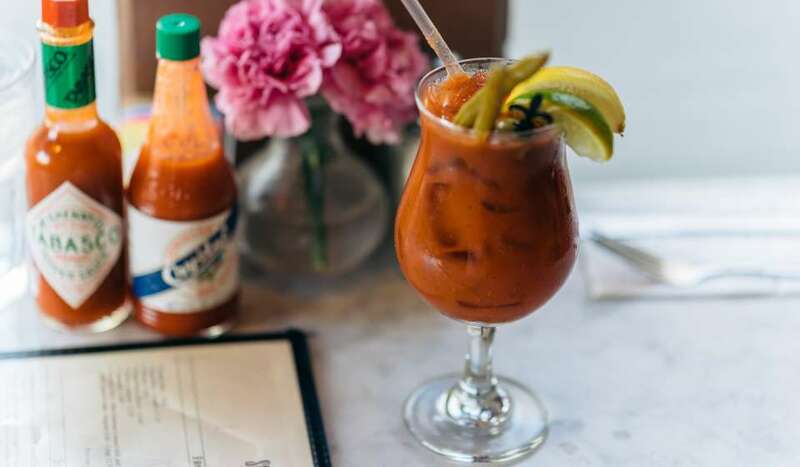 Sample Pat O'Brien's Hurricanes, Barbecue Oysters from Red Fish Grill, Prime Rib Po-boy from the Rib Room, Baked Alaska from Antoine’s, Shrimp Remoulade from Galatoire’s and Oysters Rockefeller from Desire Oyster Bar. 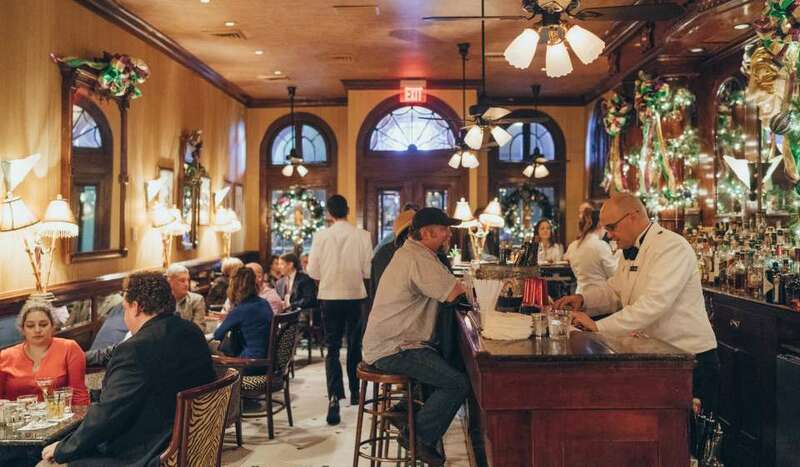 You can’t try all the restaurants individually during one trip to New Orleans, but you can try a lot of them during this weekend. There’s jambalaya, blackened catfish po-boys, crawfish étouffée, Cajun meat pies, deep fried cupcakes, white chocolate bread pudding and more. More than 60 food and beverage booths are scattered throughout the historic French Quarter and the riverfront. All dishes are priced to sample and savor. 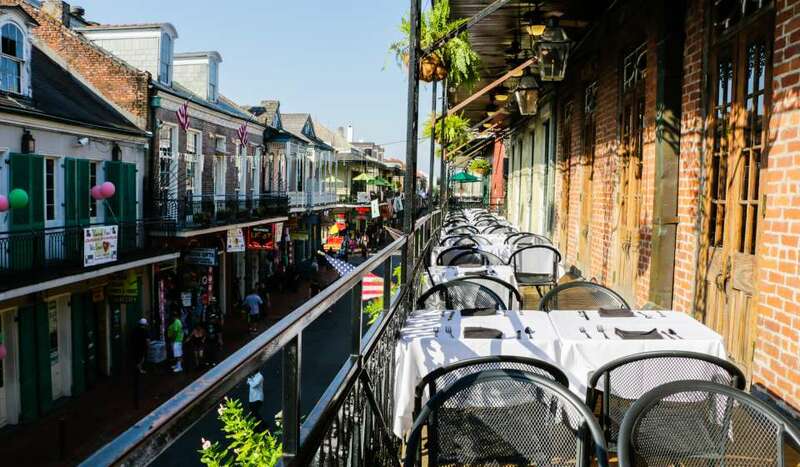 French Quarter Festival also features free tours of hidden patios and gardens of French Quarter homes, film screenings, a Pirate's Alley art show, the world's largest praline, crawfish eating contests and more. There are also special activities for kids that include art and crafts, a photo booth, book giveaways and other projects.